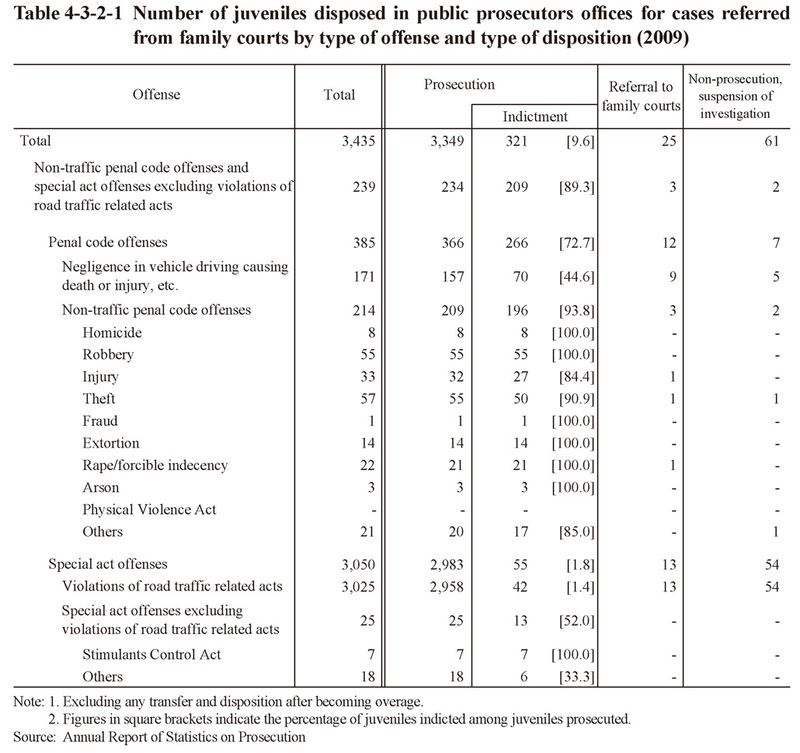 Table 4-3-2-1 shows the number of juveniles disposed in public prosecutors offices for cases referred from family courts by type of offense and type of disposition in 2009. 97.5% of cases referred from family courts were prosecuted and 9.6% of the prosecuted juveniles then indicted, with the reason for the percentage being so low that cases for violations of road traffic related acts accounted for about 90% of the total and most of them (96.4%) were prosecuted for the summary trial procedure. 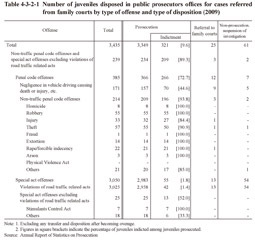 With non-traffic penal code offenses and special act offenses excluding violations of road traffic related acts, 89.3% (93.8% of non-traffic penal code offenses and 52.0% of special act offenses excluding violations of road traffic related acts) were indicted.